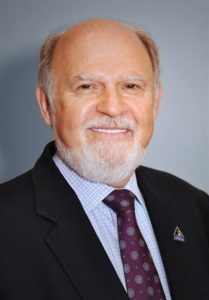 John W. Walsh, whose vision of a research foundation and a patient services organisation for people with Alpha–1 Antitrypsin Deficiency led to today’s highly successful and influential Alpha–1 Foundation and AlphaNet, passed away surrounded by his loving family on Tuesday, March 7. John led the Foundation as President and CEO for more than 20 years. Under his leadership the organisation became internationally recognised for its commitment to people affected by Alpha–1 and driving for the cure by investing over $65 million in research and programmes worldwide. Among John’s many other honors, he received the National Organization of Rare Disorders Lifetime Achievement Award in recognition of his continued dedication to the Alpha–1 and COPD communities in 2014. John was also an active participant at the Platform of Plasma Users Group (PLUS) meeting working hand in hand with other rare plasma related disorders. He will be greatly missed by his friends at IPOPI.